Got behind due to work and school, but managed to get caught up since it’s the weekend. In the home stretch! 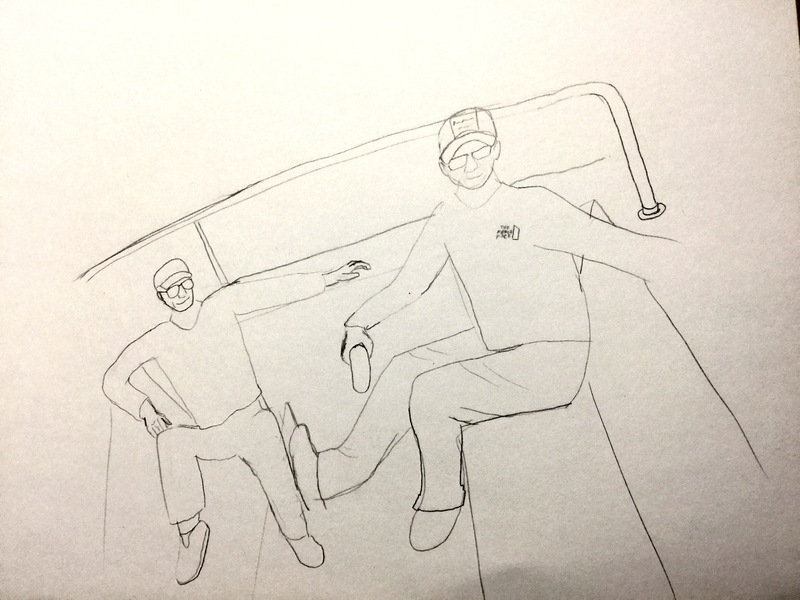 Day 25, “Ship”, was a bit rough, since I was trying to draw two of my actual friends and get the proportions and everything right. 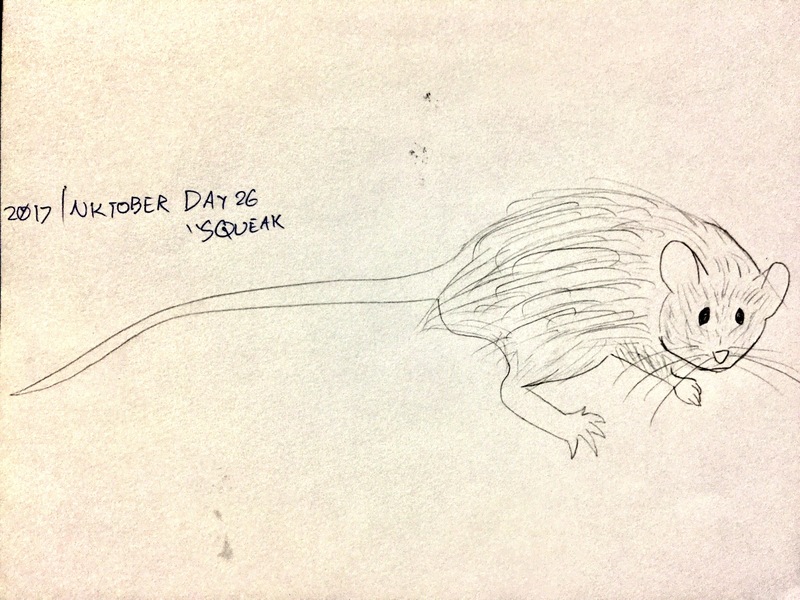 Day 26, “Squeak”, went a little bit better. And then on day 27, “Climb”, I feel like I’d started to get into the swing of things. I’ll hopefully be able to keep the momentum for the next 4 days. And of course, these were color-corrected for clarity, since I didn’t ink them.